Meditate Like A Seasoned Zen Monk In Minutes… Not Decades! 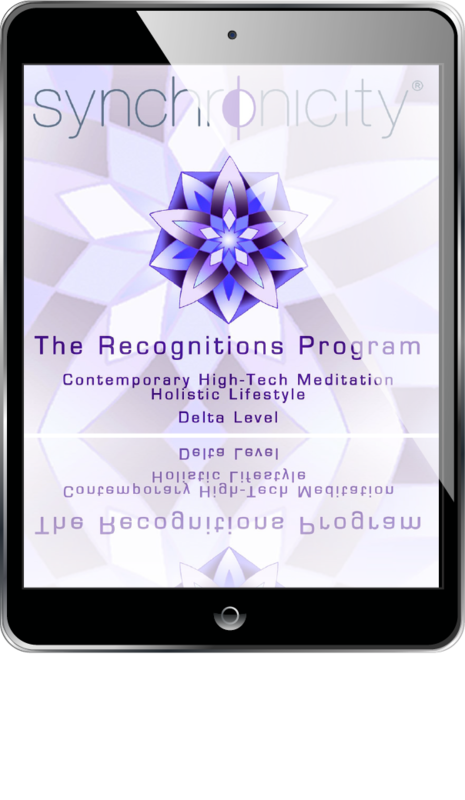 The Recognitions Program is the first of its kind technology-based meditation system. The Recognitions Program has harnessed cutting edge sonic technology combined with the 30 years of research in meditative brain-wave profiles to create a precision meditation technology capable of delivering a precision meditation experience to anyone … It was the first such technology-oriented meditation program -and has over 30 years proven experience validating its effectiveness. It was created by a living master of meditation as a way of accelerating spiritual growth through the assistance of sonic technology. Hundreds of thousands of meditators worldwide has enjoyed the precision of high-tech meditation. The Recognitions program contains complex audio tracks that are embedded with a very precise sonic technology. It sounds like peaceful music, but there’s a lot going on under the surface. Every brain frequency is affected ─ Beta, Alpha, Theta, Delta ─ and the science is exact. 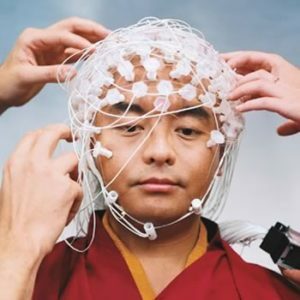 This technology entrains brainwaves toward the pattern of long-term meditators… in record time. Joanne Callahan – Callahan Techniques, Ltd.
To experience a deep, precision meditation with the Recognitions Program, you just have to… Press Play! It’s as simple as that. No need to fight with your mind or your body to experience precision meditation ─ let Synchronicity Sonic Technology do the work for you. Just relax, close your eyes, and press play… instant precision meditation. 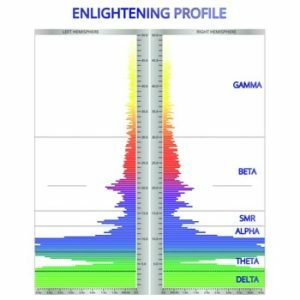 Synchronicity research using brainwaves has proven that regular use of Synchronicity High-Tech Meditation technology through the Recognitions Program decelerates brain-wave activities from Alpha to Delta, enhancing a range of experience from light relaxation to deep transcendental meditation. Recognitions meditators typically experience a much more rapid and profound meditative experience than can be found with classical, traditional meditation systems. The Recognitions Program accelerates the benefits of meditation through precision by a factor of four… that’s a four-fold increase. 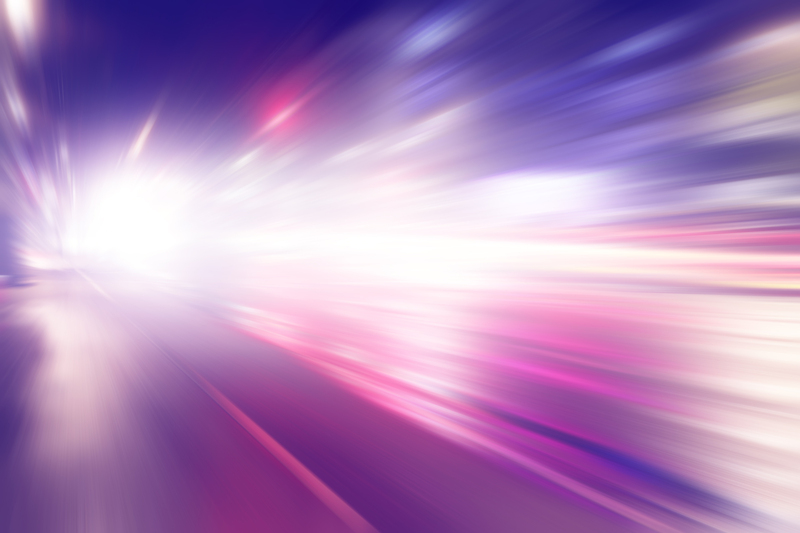 Shortly after the release of Synchronicity High-Tech Meditation® in the mid-1980s, it was clear that amazing things were happening to those using the technology. Advanced meditative experiences occurred at a rapid pace. This observation was a world-wide experience. 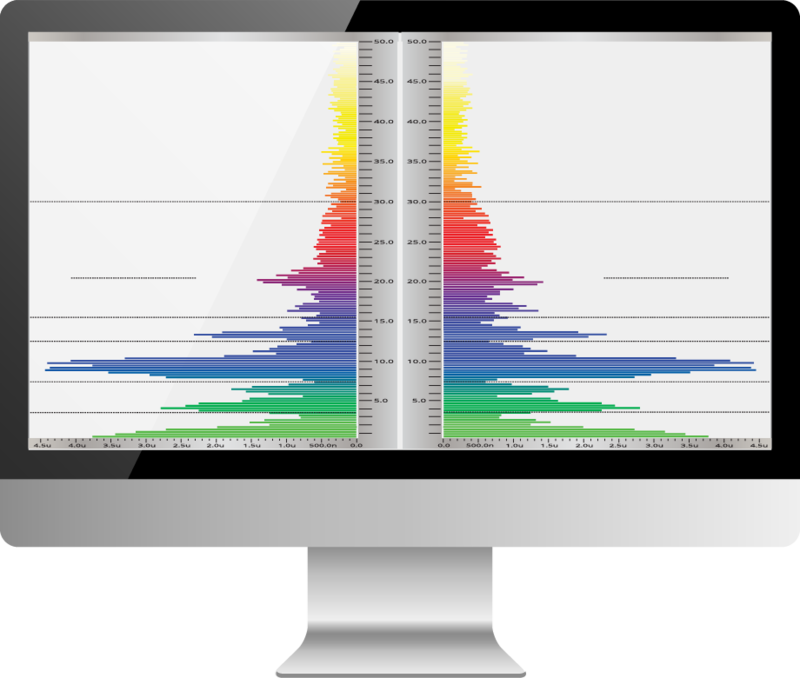 Synchronicity responded by developing a technology to measure human brainwaves. 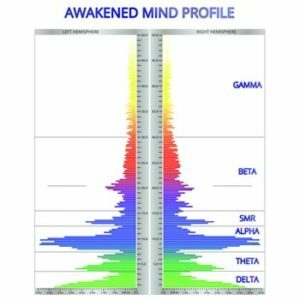 From the beginning of such monitoring, it was obvious that brainwaves in those using the technology developed advanced meditative patterns in record time. Compared to published reports of brainwave evolution in Buddhist monks, it was estimated that technology-based meditation through sonic entrainment resulted in a four-fold acceleration in the development of meditative brainwave patterns. 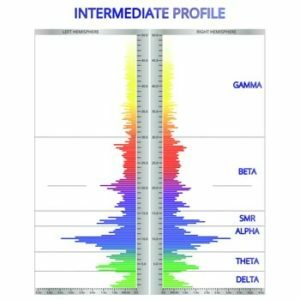 In fact, substantial changes (hemisphere balance and significant alpha waves) could be seen as early as one year into High-Tech Meditation®. These initial observations have been repeatedly confirmed in thousands of Synchronicity meditators, worldwide. 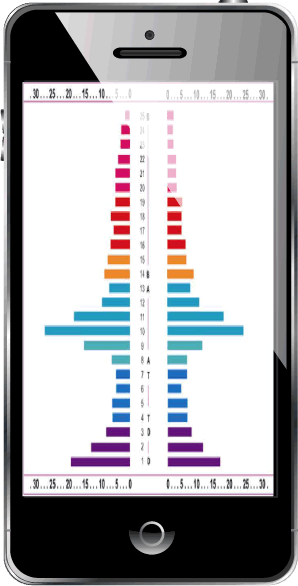 High-Tech Meditation® technology, best exemplified in the Recognitions Program, has maintained its status as the first and best technology-based meditation system for over 30 years. The Recognitions program combines science with the ancient art of meditation to create the future of meditation… now! Synchronicity sonic technology utilizes comprehensive brain-wave entrainment technology combined with the energy frequencies of sacred geometry. It is the leading-edge of entrainment technologies designed to enhance the evolution of human consciousness. Your Recognitions experience will be noticeable in your life’s experience. Because Recognitions is so impactful, change occurs quickly and you will find that you can, indeed, meditate in a world that runs completely counter to the meditation process. You will observe changes in yourself—not mental concepts that don’t deliver anything. In short, you will be rewarded with a “you” that you like and enjoy. Recognitions accelerates spiritual growth through the assistance of sonic technology. At the basis of the Recognitions Program is the daily meditation with the Synchronicity technology. 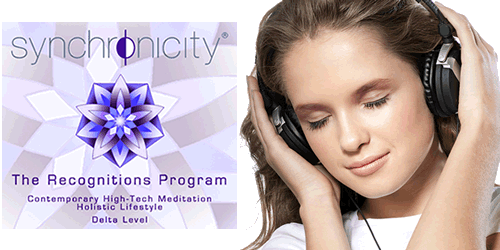 You have two thirty-minute High-Tech Meditation® Soundtracks for your daily sitting meditation and a third soundtrack for nighttime use that entrains subliminal life-affirmative statements while you sleep. A musical meditation soundtrack that includes Synchronicity sonic technology which, over the course of 30 minutes, brings a busy beta mind down into a light meditative state (alpha), and then into deeper theta and delta brainwave frequencies. An ocean wave meditation soundtrack that includes Synchronicity sonic technology and maintains the alpha, theta and delta sonic entrainment to your brain for another 30 minutes. The soundtrack is designed to be played continuously while you sleep. This soundtrack includes the sound of ocean waves along with the same holistic subliminal affirmations that are on the Transcendence and Tranquility. We teach Modern Spirituality,® holistic lifestyle and High-Tech Meditation® to help people fulfill their spiritual potential through a shared vision of bringing wholeness to life experience through education, holistic lifestyle practices and retreat experiences. Discover a way of living based on timeless spiritual principles, updated to be relevant and meaningful for people living a fast-paced modern lifestyle. Learn to live in the "now", free from worry about the future or regrets about the past. Experience increasing joy, satisfaction and fulfillment in your life. Copyright © 2017 Synchronicity Foundation | Synchronicity Foundation for Modern Spirituality is a non-profit organization.